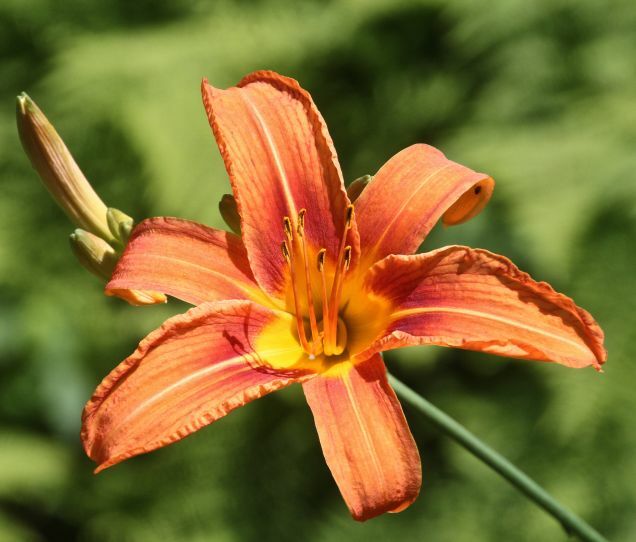 The day lilies are starting to bloom! Get the gutter people out here. Have Tim (who has done all our remodel work) come out and address the list of things we want to do. Call the woodworker whose name we got from friends to come out and look at our broken antique table. Remember when the leg broke off two hours before our dinner party? We've been trying to get the gutter people out for some time now to rework one of our front gutters. We've had an ugly green plastic stretchy pipe for two years now to divert the water that is clogged underground somewhere. Also on the back of house: same thing only an ugly green stretchy thing leading from the gutter that dumps from the main house roof to the garage roof because the water flow is too great for the gutter. Two years ago the gutter guy came out two days before Super Storm Sandy hit to take a look at the gutters. Then winter came. Then we dealt with the green stretchy thing. I called them last week and he said he would stop by. He didn't. I called him again and he said he'd be right over! He was here in less than 35 mintues. He looked it over and came up with a solution we both agreed on. Then he said he could come by the end of the week. Really? Thursday afternoon they came and fixed both front and back gutters and cleaned the leaves out of all the gutters (we have a lot!) all in one fell swoop. It was all very timely since that evening we were sitting there watching Jeopardy when all of sudden it started pouring rain. We got 3/4 inch in about 20 minutes, so a very good test for the new configuration of gutters! I called Tim the same day I called the gutter people. He too said he would be passing by and would stop — almost at the same time the gutter people were coming to take a look. Wow. He did come (he arrived 15 mintues after the gutter people left) and we went over the list and we got the ball rolling on those issues. I called the woodworker and left a message. He called back and said he could come Friday evening to take a look at our table! He looked it over and said it was definitely worth fixing. He told us our lovely quarter-sawn oak table was over 100 years old! Wow, we had no idea it was that old. He was impressed with the "antique" brackets holding the legs on and he will preserve them. We won't be getting it fixed right away though since he said it would make the perfect project for him over the winter. He'll contact us this fall and pick it up. It will be nice to have the legs come off instead of being permanently attached as they are right now with all the "fixes" over the years. It's nice to have those things checked off the list!